The new free-standing washer dryer machine WDIE14106 with front loading can be your home assistant. 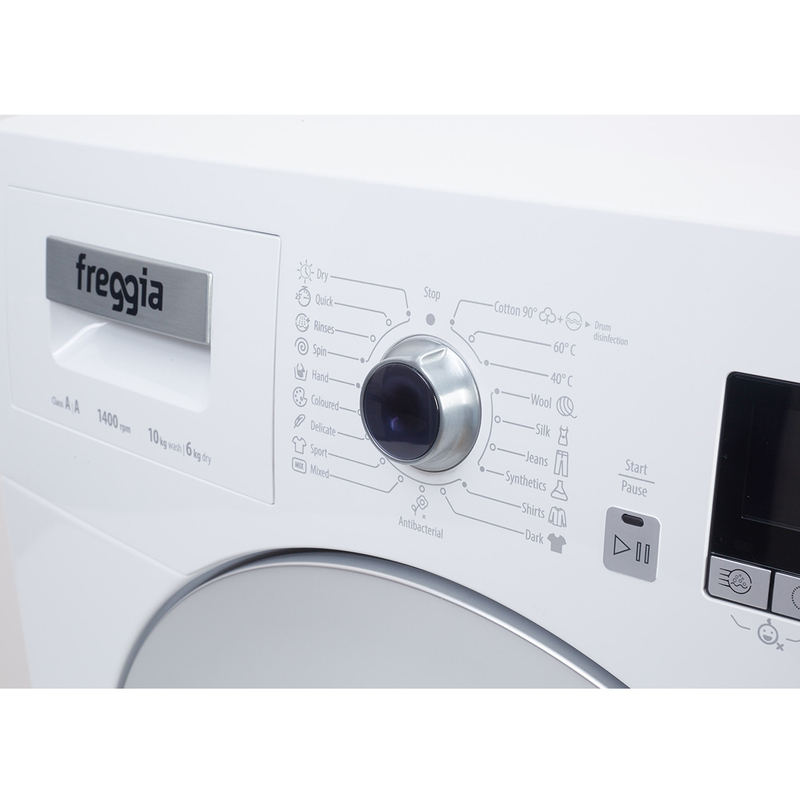 It features numerous embedded solutions that greatly simplify life and help you make laundry a pleasant experience. With its standard dimensions and the depth of 60 cm, the machine has an increased capacity: 10 kg for washing, and 6 kg for drying. This means that you can safely wash multiple sets of bed linen and blankets, small rugs, blankets and pillows. The washer dryer machine WDIE14106 has energy efficiency class A for washing and drying, which helps to significantly minimize the electricity cost and save the family budget. It is currently the lowest rate for washer dryer machines. However, cost efficiency of this washer dryer machine is not limited to the above. 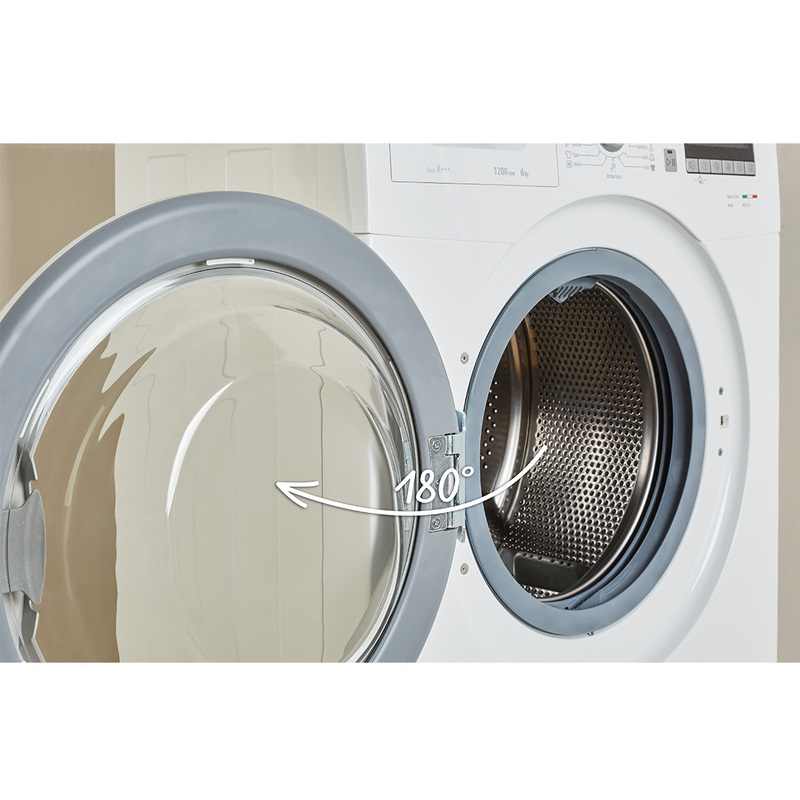 Easy Logic system automatically reduces the power consumption by almost 50% when the washing machine is half-loaded. Additionally, water consumption and the duration of washing are reduced. Another nice bonus is an antibacterial programme 40°C. This special mode allows to achieve antibacterial effect as when washing at 90°C but at lower temperatures. Economical and capacious, the washer dryer machine is easy to use. Graphic touch screen will help you configure the required mode and monitor the operation easily. Families with a baby would find childproofing mode (accidental touch protection) useful. Your child will be safe while the machine is in operation. The washer dryer machine design is so practical that it will nicely fit into any interior. Its stylish appearance proves once again that you can be both smart and beautiful.